This topic contains 2 replies, has 3 voices, and was last updated by DAMORGS 2 years, 8 months ago. 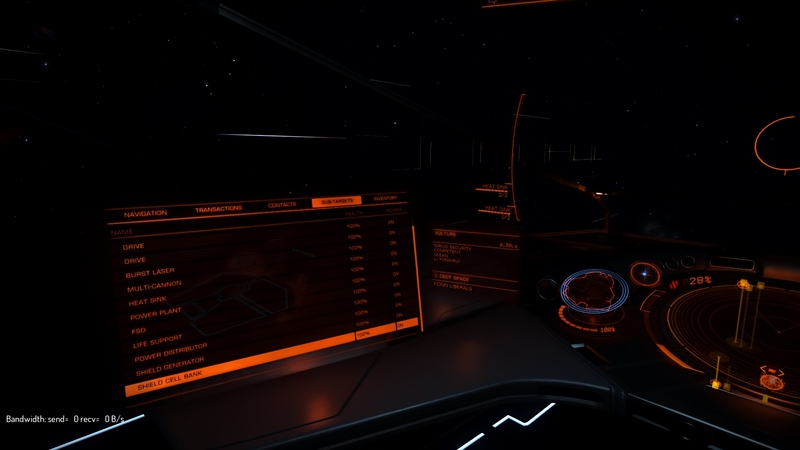 Plotting a course back to the clean lands last night, while in Siruis space I noticed I was being eyed up by a Competent Sirius Vulture. It’s been a while, so I let him get behind me (I wasn’t carrying an interdictor, and felt like some random murder). He shot past me, looped back, got on my tail again, shot past me, looped back, tried to line me up, flew past … after a while, I thought I’d have a look at this talented NPC, so targeted him, and checked his sub contacts. Noticed that this security ship was missing something important for his job. Can an NPC face palm?